Some very well known women have answered to this name. 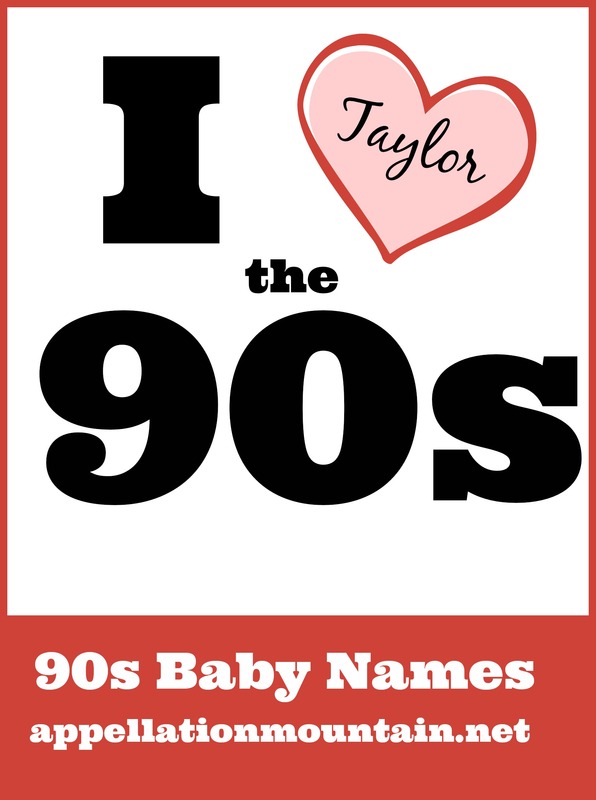 90s Week continues with Taylor as our Baby Name of the Day. 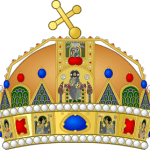 Like nearly any surname name, Taylor has a long history of sparing use as a given name. It’s traditionally more popular for boys, but has plenty of history on a girl, too. Let’s start with Hollywood legend Elizabeth Taylor. A child actor, Liz became a star in 1944’s National Velvet. She won two Academy Awards for Best Actress, and later in life became an activist, fundraiser, and founder of The Elizabeth Taylor AIDS Foundation. So this makes Taylor a hero name. But she doesn’t get credit for the name’s success. Taylor first charted in the US Top 1000 for girls in 1979, when Liz’s career was on the wane, and her humanitarian activities weren’t well known. So what explains the name’s success for girls? In 1979, Taylor Miller debuted as Nina Cortlandt on All My Children. Born Linda Taylor Miller, the actress would play Nina for five years straight, and make cameos through 2010. That same year, Taylor debuted at #976. By 1981, the name ranked #512. Miller might have raised the name as a possibility, but it was the perfect moment for Taylor. If our age is dominated by talk of hipsters, the 1980s were all about yuppies. Taylor fit right in – fresh, boyish, definitely not a Baby Boomer name. Some yuppie picks were super-classic, like Caroline or Katherine. But the names that defined the generation were tailored choices with a twist: Megan, Lauren, Alexis, Caitlin, Whitney, Madison, Chelsea, Justine. Taylor rose dramatically in the 1980s, and stood at #75 by 1989. From 1993 through 2000, the name was a Top Ten favorite, a go-to for girls. Richard Liebeskind’s dad once designed a best-selling dress named Ann Taylor. When Liebeskind opened a clothing store of his own in Connecticut, he decided to name the store “Ann Taylor.” The company went public in 1991, and has continued to grow – yuppie style gone mainstream. Recording artist and mega-star Swift was born in 1989 – while she didn’t record her first single until 2006, she’s among the best known bearers of the name today. More famous bearers born in the 1990s include actress and Gossip Girl alum Momsen and child actor Atelian. Hunter Tylo played Dr. Taylor Hayes on The Bold and the Beautiful from 1990 through 2002. Days of our Lives introduced a character by the name in 1998. 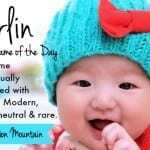 Of course, this name was also big for boys in the decade – it was a Top 100 name from 1988 through 1997. Actor Taylor Lautner was born in 1992 – leading to the interesting possibility of boy Taylors dating girl Taylors, like the much-publicized romance between Lautner and Swift. Good news, though – despite the former couple’s shared first name, the earth continues to rotate. Today, Taylor is slipping, currently ranked #59 for girls, and #371 for boys. With grown-ups like actress Taylor Schilling, who plays Piper on Orange is the New Black, in the spotlight, this name feels all grown up. File this name with Shirley, Kimberly, Kelly, Ashley, and Madison – surnames that migrate to first name. Once trendy, surprising, even controversial, now they’re just names – our babysitter, our brother’s prom date, the newest hire in your office. What do you think of Taylor? Better for a boy or a girl? A trendy name fading fast, or a new staple? I once worked with a woman who openly admitted she named her daughter Taylor (born in the 90’s) because she was a huge fan of The Bold and The Beautiful 🙂 Of course, when I first met her and said my name was Brooke I got “like The Bold and the Beautiful!”, which I used to hear from people a lot in the 90’s and early 2000’s. I also know a Tayla born in 1997 – it was quite a popular spelling here in Australia. 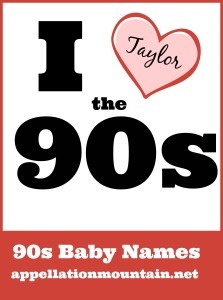 Seems to be a great combination of both Taylor and Kayla that you also featured the other day, so very 90’s! Despite Taylor’s popularity for girls in the 90s, Taylor was on one the most popular names amongst guys at my high school. I didn’t know a girl Taylor until I went to college. Not sure what my phone was doing there. I was almost names Tayla but my mum decided against it which I’m glad of. I was born in 1999 so I know three Taylor’s, 2 Tayla’s and 2 Taylah’s, I don’t really need to know that many people with my name. But since my surnames also an occupational surname it just wouldn’t work as my name.